Like Travisimo, you may often run into incompatibility issue when transferring AVCHD footage to Final Cut Pro, even you’re following the workflow. Actually, you can import any videos to FCP for smooth editing without needing to be a geek at formats and codecs. 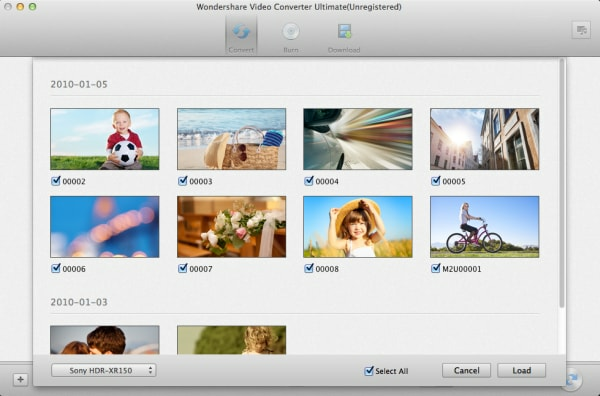 With Wondershare UniConverter for Mac (originally Wondershare Video Converter Ultimate for Mac), it's extremely donable. Below describes how to do it step by step. No sweat! Preparation: Free download AVCHD to FCP Converter trial version:. Note: This AVCHD to FCP converter is cross-platform. If you're a Windows user, you can turn to its Windows version - Wondershare UniConverter (originally Wondershare Video Converter Ultimate). Below guide takes Mac screenshot, just make sure you download the right version. Connect your camcorder to Mac, and then launch this AVCHD to FCP converter Mac. 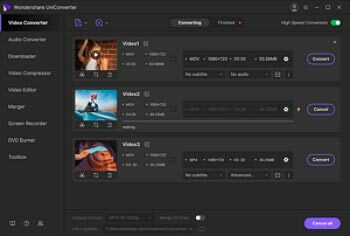 Instantly, all recorded AVCHD files can be shown in this program's interface. At this time, you can untick the "Select All" option and just tick what you want, then click the "Load" option to load them. Tips: This program provides a media browser to help you manage local video, audio and downloads. You can add the your video folders into the category and fast locate them later by clicking . To import MTS files to FCP, you need to convert to its supported formats, namely DV, HDV, P2 MXF (DVCProHD), XDCAM and 2K film formats. However, to ensure the best quality, Wondershare UniConverter for Mac (originally Wondershare Video Converter Ultimate for Mac) provides other options besides common video output. Configured presets for FCP, standard definition. Native codecs like ProRes, Apple Intermediate Codec for FCP to ensure the best result when editing in FCP. Furthermore, provided that you want to compress the file a little, you can also click the gear icon to manually adjust the bit rate, frame rate, resolution, etc. After choosing the right output format, now just hit the Convert button on the bottom right to kick off AVCHD to Final Cut Pro conversion. During the conversion, you'll see a neat designed bar to show the percentage and remaining time. When all conversions finished, just click "Open Output" in the pop-up window to find the converted files. Now you may go ahead to show your creativeness on editing them with Final Cut Pro at ease.